Hainan received 30.01 million overnight tourists in 2011, up 16% year on year, bringing in RMB32.404 billion in tourims-related revenue, up 25.8% year on year, reports hainan.net. 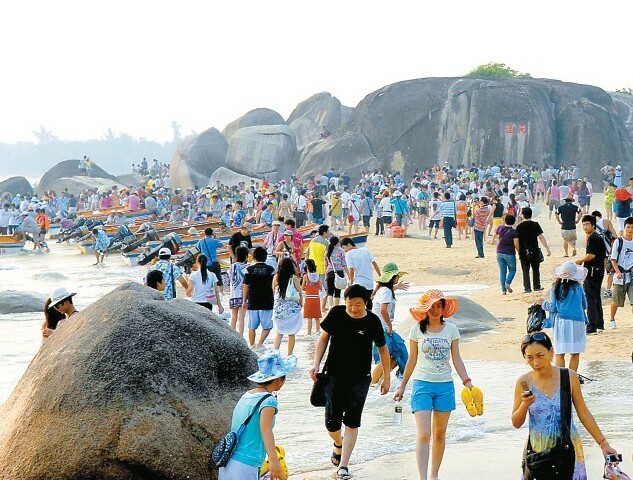 A totoal of 30.01 million overnight tourists visited Hainan last year. 29.19 million are domestic tourists and 814,600 are inbound tourists. In addition, the total retail sales reached RMB74.113 billion in 2011, up 18.8% year on year. The urban retail sales hit RMB66.777 billion and RMB7.336 billion were rural retail sales.